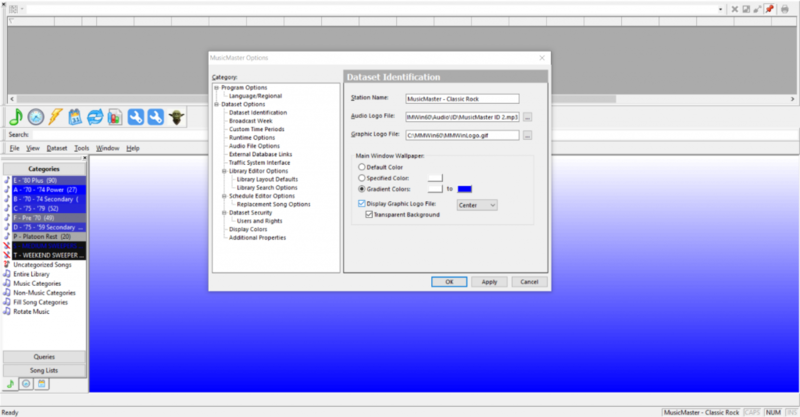 In a time when many program directors are programming multiple stations, it can be really frustrating to find you have made changes in one database, when intending to make those changes in a different database. 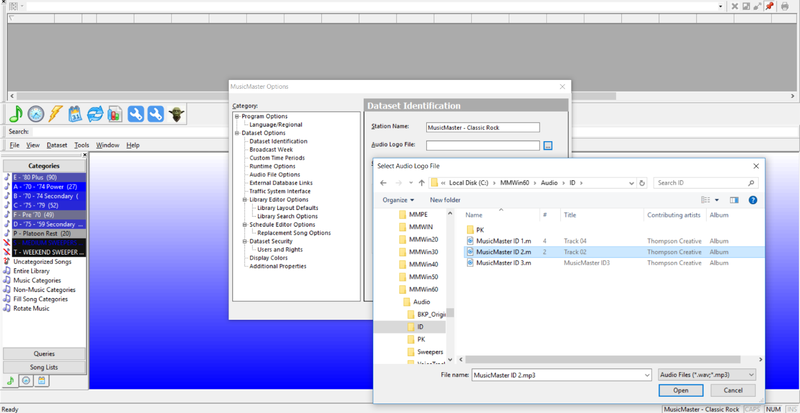 MusicMaster gives you the ability to customize multiple settings throughout the software for a different feel and look for each database. Many programmers have cloned databases to create a new station. This works great, but copies everything including your categories and category colors over to the new database, making it difficult to tell them apart. A very easy way to customize each database is by using a station logo or sweeper when you open the database. Here is how you can set up these features. Click on Tools, Options and Dataset Identification. In the first field, you can change the name that you see on the top left of the screen when you have the database open. This can differ from what the actual database file is called when opening up MusicMaster. The next field allows you to set up an Audio Logo (Sweeper, Liner, Favorite Movie Drop). Click on the button to the right of the audio logo field to search your computer for an audio file you would like to play when opening the database. The next field allows you to show a Graphic Logo file. Click on the button to the right of the field to find a file on your computer that you would like to show in the main window of MusicMaster upon launch. 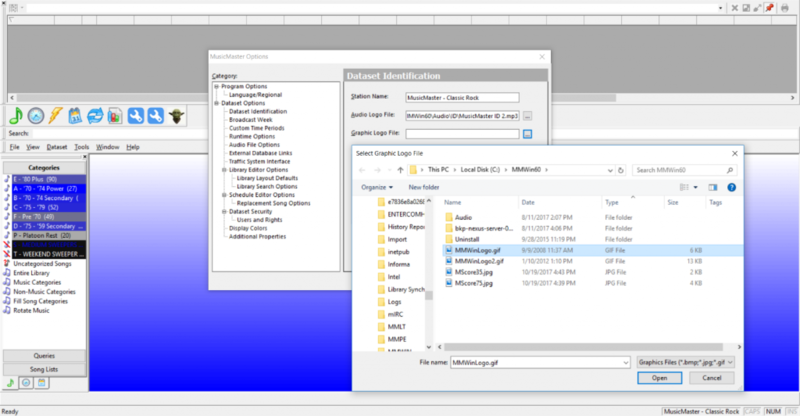 Once the file is selected, you need to click display the graphic logo file check box. You can also adjust the position of the logo with the dropdown selection and choose to have the background as transparent. 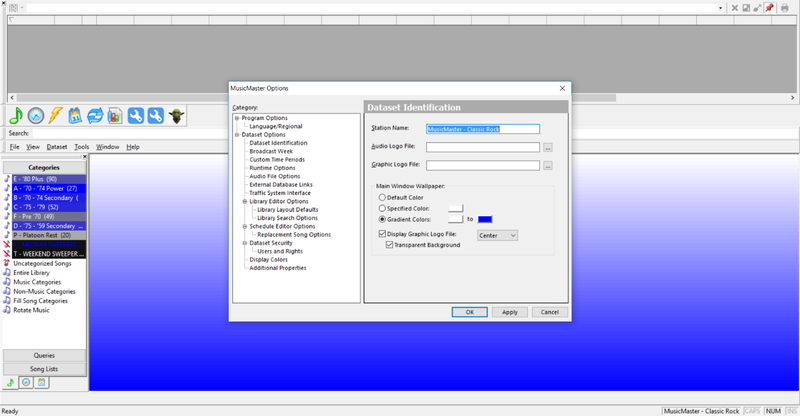 There are also settings for a background color with or without using a logo. 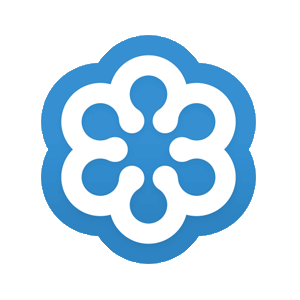 When you open the database you will now see your logo and hear the audio you selected. Play with the setting and get the database customized the way you want it. 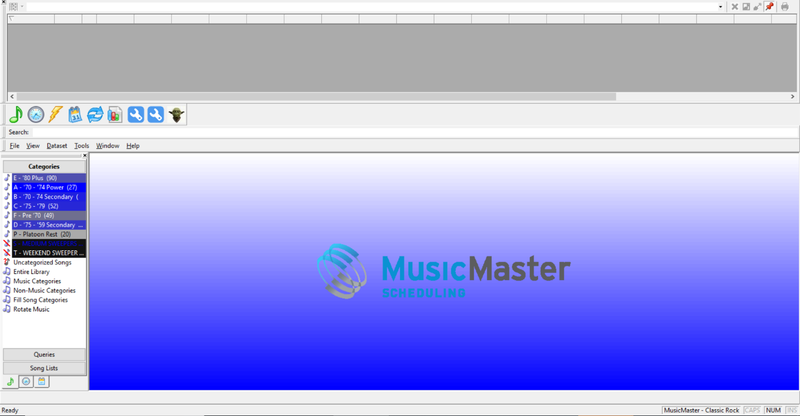 Happy Scheduling from MusicMaster!